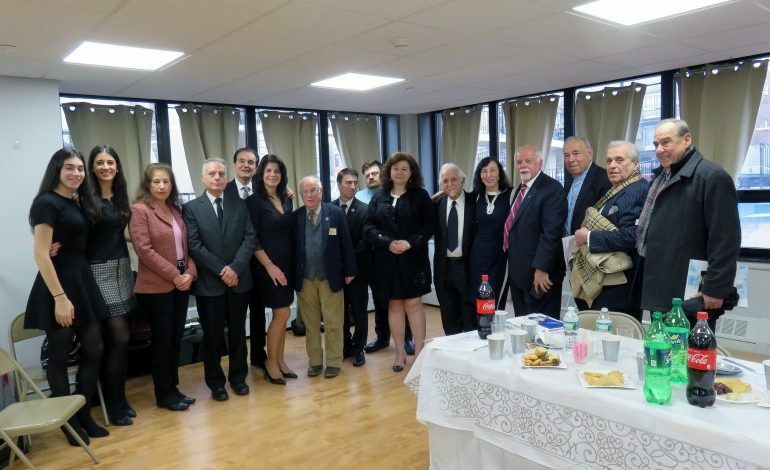 The Greek Teacher’s Association “Prometheus” in cooperation with the Hellenic News of America held an event in honor of the late educator Constantine Parthenis, first President in 1975, on Sunday February 11th at St. Catherine’s Church, Astoria, New York. A memorial service at the church was followed with a reception in St. Catherine’s Church hall. 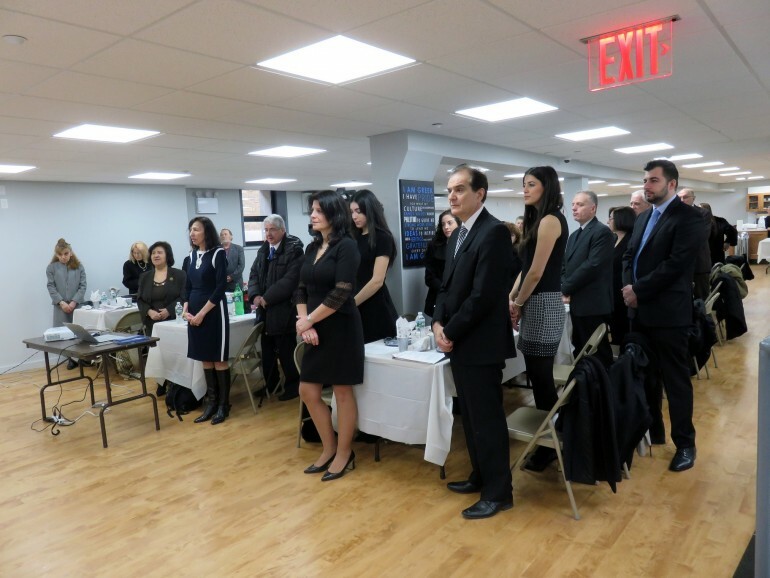 The event was held in conjunction with the celebration of “The Three Hierarchs, Fathers of Greek Education” and “International Greek Language Day” on February 9th. 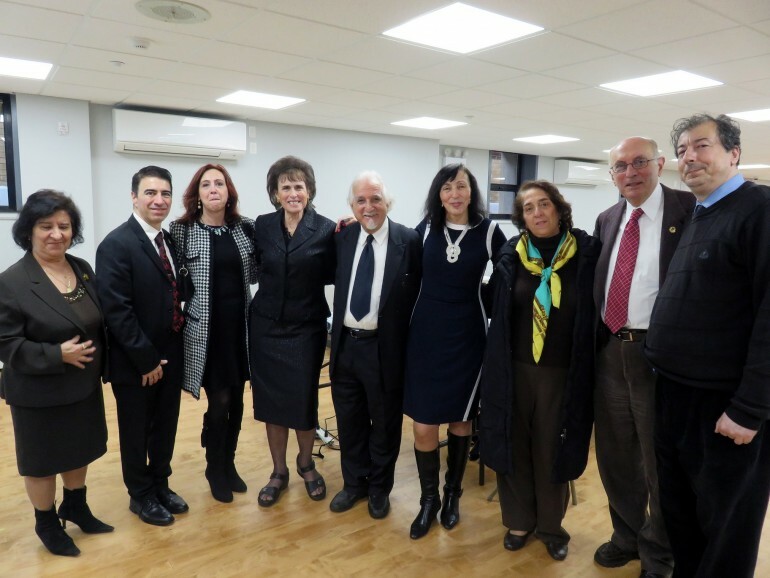 An exceptional education program followed with a luncheon in Memory of the late Barbara Triantafillou, spouse of President Demosthenes Triantafillou. The program included: Prayer and cutting of Vasilopita, Archimandrite Nektarios Papazafiropoulos, Dean of St. Demetrios Cathedral and Very Rev. John Antonopoulos; Welcome, Prof Alexander Colombos; Welcome Prof. Demosthenes Triantafillou, “Prometheus “ President; Greetings by Dr. Thalia Chatzigiannoglou, Education Consular of the Greek Consulate of New York; Mrs. Maria Makedon, Director of the Direct Archdiocesan District Office of Education; Mr. Paul Kotrotsios, Founder and President of the Hellenic News of America and Hermes Expo; Remarks, Timoleon Kokkinos; Prof. Alexander Colombos; President Demosthenes Trianfillou of the Greek Teachers Association “Prometheus”; Dimitrios Kontolios, President of Panchiaki Korais Society; Keynote speaker Very Rev. John Antonopoulos of St. Demetrios Cathedral, Astoria and PowerPoint presentation of the education Ellinopoula.com by Mrs. Anna Sakkis. Director Maria Makedon “I worked with Mr. Parthenis for many years seeing him build the curriculum of the Greek parochial schools with devotion and an outstanding degree of professionalism.” President Triantafillou said “2017 workshop series for Teachers of the Greek Language were held at St. Nicholas Greek Orthodox Church in Flushing, New York and the Ascension School in Fairview, New Jersey through the cooperation of Director Maria Makedon and Dr. Thalia Chatzigiannoglou, Education Consular of the York. This Pedagogical Program was the child of our proposal at our 40th Honorary Luncheon of PROMETHEUS. The Program of Mrs. Makedon has been inspired by the PROMETHEUS proposals and the Program at the Ascension School in Fairview. PROMETHEUS has opened new educational horizons for Pedagogical Programs, to meet the professional needs of the Greek Teachers. PROMETHEUS will continue with its vision to solve problems and to benefit the Members of PROMETHEUS. 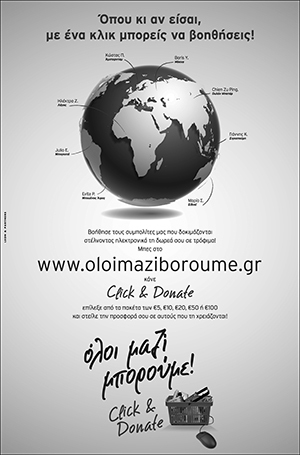 Dr. Chatzigiannoglou is the best Greek Education counselor in my memory, who donated her services for free for this program.” She is continuing the work of her outstanding predecessor, Eleni Karageorgiou, former coordinator of Greek Education of the Greek Consulate of the City of New York. Mrs. Karageorgiou brought spring and rebirth to a position stagnated by “Old World” practices. President Triantafillou expressed his “appreciation of your (Mrs. Sakkis’) magnificent work for Hellenism. What a wonderful presentation of a promising new program of learning Greek! The general testimony of all the attendees to the Prometheus Event today was an exuberant affirmation of the excellent work you have initiated with your program of Ellinopoula.com website! As the President of the Prometheus Board, I am expressing their deep appreciation to you for your presentation and for your contribution of the $ 500.00 to the recently founded Greek Teachers Pension Fund. Hellenism is getting stronger in America with people like you who have vision and a moral commitment to the support of the Greek Teachers. May your example of generosity, understanding and vision be followed by other Greek Americans.” An unforgettable event commemorating Modern Greek language studies in America. Next article Greece Research Trip: Hellenic Charter School is in Greece!